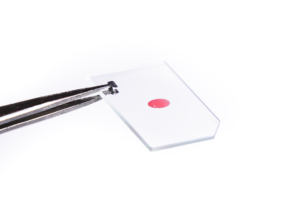 Our nanotechnology enabled sensors are manufactured to the highest quality to ensure consistent and repeatable measurements, at half of the price of traditional sensors. We achieve less than 2% CV on all critical optical properties. Our sensors are stable in a variety of solvents, buffers and reagents. Our line of High Sensitivity Sensors provide an extra boost of sensitivity for your toughest SPR applications. The increased localized sensitivity is particularly advantageous for small molecule analysis, and can also be used to enhance the signals of other larger biomolecules. High Sensitivity Sensors are only compatible with the 2-Channel OpenSPR and are available in Carboxyl, NTA, and Streptavidin surface chemistries. 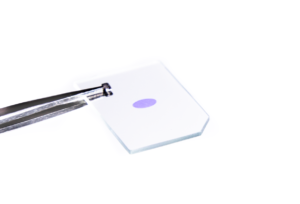 OpenSPR sensor surfaces are available as plain gold surfaces for custom surface functionalization or with a variety of functional surface chemistries. These sensor chips reduce the time and effort needed for immobilization while improving repeatability.